Feargus O’Connor who was a native of Co Cork, Ireland, was one of the leaders of Chartism in England. 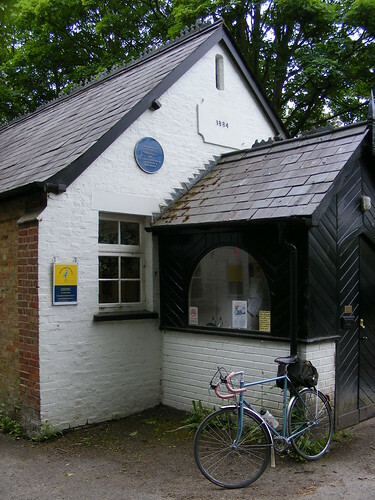 Chartism, which took its name from the People’s Charter of 1838, was a working class movement which sought political reform in Great Britain. Other people from Ireland who became involved in Chartism at the time included James O’Brien, a lawyer from Longford and John Tyndall, a scientist from Carlow. Feargus Edward O’Connor was born was born at Connerville, his family’s estate in west Cork on July 18th 1796. His father, Roderick O’Connor was an Irish Nationalist politician who traced his descent from the 11th century high king of Ireland, Roderick O’Connor. Feargus O’Connor was educated at Portarlington Grammar School and Trinity College Dublin. He was called to the Irish bar but became involved in politics. He was elected MP for Cork in 1832 as one of Daniel O’Connell’s supporters. In 1835 O’Connor lost his seat and turned to agitation in England. He became the most popular and the most feared of the Chartist leaders. The reforms sought by the Chartists included, the secret ballot, a vote for every man over twenty-one years old and payment for members of parliament. Chartism, which existed from 1838 to 1868 did not immediately bring about reforms. However most of the reforms it sought were eventually implemented. Secret voting was introduced in 1872, payment for members of parliament was introduced in 1911 and every man over 21 and every woman over 30 was given the vote in the 1918 General Election. 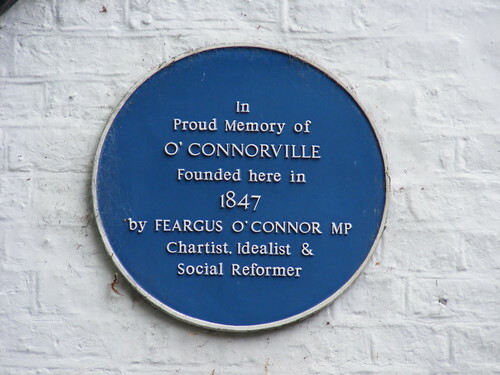 Feargus O’Connor advocate for Irish rights, supporter of the Repeal movement and leader of the Chartist movement in England died in the year 1855 On This Day. The Dublin-Belfast railway line was once called the Great Northern Railway (Ireland) (GNRI). It is now operated by Iarnród Éireann (Irish Rail) and Northern Ireland Railways. It carries the Enterprise train service linking Connolly Station in Dublin with Belfast Central Station. Three years after Ireland’s first railway was built between Dublin and Kingstown (Dún Laoghaire), Ulster Railway began construction of a railway line between Belfast and Lisburn in 1837. The line was extended southwards to Portadown in 1842. In October 1840 Sir John MacNeill from Mountpleasant near Dundalk Co Louth and John Dargan from Killeshin near Carlow town, began the construction of a railway line linking Dublin northwards to Drogheda. This line was officially opened on May 25th 1844. 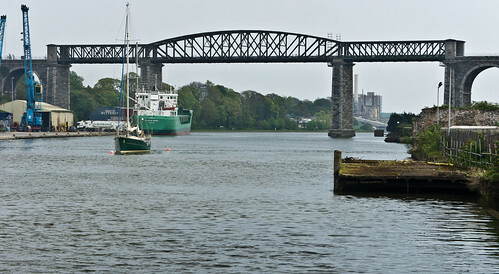 The final section linking Drogheda to Portadown was not completed until 1855. Up until then passengers had to travel by road through the town of Drogheda from stations to the north and south of the Boyne. In order to complete the final section a bridge had to be constructed across the river Boyne. The bridge, known as the Boyne Viaduct, was built at a height above the river which allowed for shipping on the river to be preserved. The Viaduct, which was designed by MacNeil, stands 30m above the river Boyne and is over 530m long. The building of the Viaduct completed the link between Dublin and Belfast. Nowadays the journey between the two cities on the Enterprise Service can be completed in just over two hours. During construction of the Viaduct, the Great Industrial Exhibition was held in Dublin in 1853. The exhibition was organised by William Dargan. The scaffolding being used in the building of the Viaduct was reinforced to allow trains carrying passengers traveling to the Great Industrial Exhibition in Dublin, cross the Boyne. The first train officially crossed the Boyne Viaduct on its journey from Dublin to Belfast in the year 1855 On This Day. King Camp Gillette invented the best-selling model of the safety razor. Up until his invention men had shaved with straight razors. The straight razor, also called the cut-throat razor had to be sharpened before use and could be quite dangerous. Though several types of safety razor existed, the one which Gillette invented had a disposable blade of stamped steel. King Camp Gillette was born in Fond du Lac, Wisconsin in 1855. He became a successful travelling salesman who developed an interest in inventions. One of his employers suggested that he should invent something that would be used a few times and then thrown away. He came up with idea of a thin double edged steel blade between two plates which was held in place by a handle. The blade would be disposed of when no longer sharp. 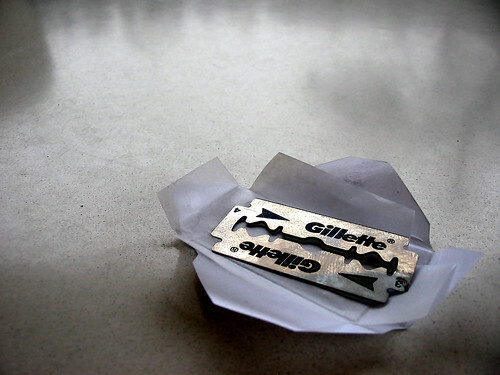 Gillette sold the razor at a loss in order to make a profit from the sale of his blades. 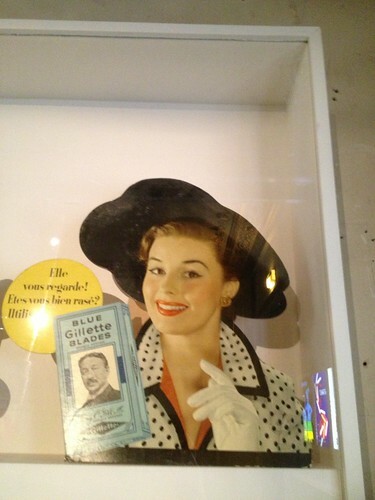 The strategy was a success and the Gillette Company became a thriving business in the United States. It acquired other companies and established manufacturing facilities in Canada, Britain, France and Germany. In 1984 Braun became a wholly owned subsidiary of the Gillette Company. Braun is German consumer products manufacturer. It had subsidiaries in several European countries including a manufacturing plant in Carlow, Ireland. Both Gillette and Braun are now part of the Proctor and Gamble Company. King Camp Gillette, inventor of the best-selling model of the safety razor was born in the year 1855 On This Day. John Lyons, who was a native of Carlow Ireland was awarded the Victoria Cross for Gallantry in 1857. He won the award at the age of 31 for his actions during the Crimean War. The Victoria Cross is awarded for ‘most conspicuous bravery, or some daring or pre-eminent act of valour or self-sacrifice, or extreme devotion to duty in the presence of the enemy’. The Victoria Cross has been awarded to 168 soldiers from Ireland, two of whom were born in County Carlow. John Lyons was born in Carlow, Co Carlow in 1824. He joined the British Army and in 1855 was serving as a Private with the 19th Regiment of Foot during the Crimean war. The war in Crimea lasted from 1853 to 1856. The allies laid siege to the city of Sebastopol, the capital of Crimea in October 1854. The city was finally captured on September 9th 1855. During the siege a live shell landed amongst the guard of the trenches. Without hesitation Lyons picked up the live shell and threw it over the parapet. His action saved many lives. An account of the action by Lyons appeared in a Supplement to the London Gazette on February 24th 1857. John Lyons was presented with the Victoria Cross on June 26th 1857. The presentation was made by Queen Victoria at a ceremony in Hyde Park, London. Lyons was promoted to the rank of Corporal and served with the British Army in India during the Indian Mutiny (1857-1858). John Lyons died at the age of 44 in Naas Co Kildare, Ireland on April 20th 1867. Lyons Road in the town of Richmond in Yorkshire, England is named in his honour. The Victoria Cross awarded to John Lyons is held at Green Howards Regiment Museum, Richmond, Yorkshire, England. The cannon on the steps of the Courthouse in Carlow town was captured from the Russian Army during the Crimean War (1853-1856). It commemorates all the Irish soldiers who lost their lives during the Crimean War. It was donated to the town of Carlow by the British Minister of War Lord Panmure in 1858. John Lyons from Carlow was awarded the Victoria Cross for his gallantry at the siege of Sebastopol during the Crimean War in the year 1855 On This Day.